Best Toys for 1 Year Old Girls - Best Gifts for 1 Year Old Girls - EPIC!! 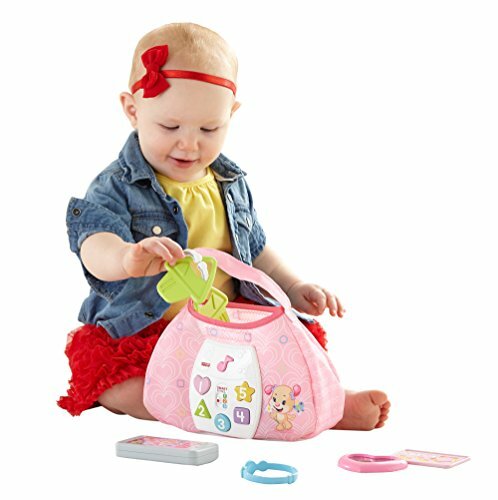 Top Toys One Year Old Girls LOVE! 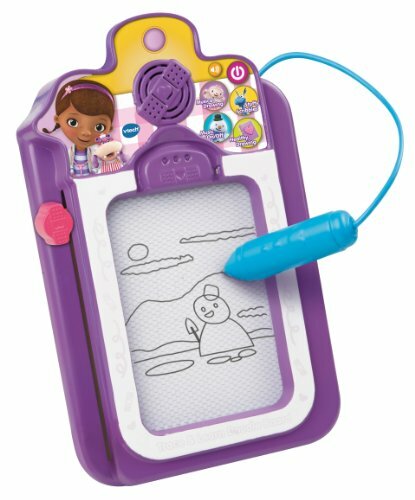 Here is my list of the best toys and gifts for 1 year old girls. I’m a toy review blogger and the mother to this extremely cute one year old girl. This is my top toys list if you’re shopping for girls age one! This is an age of exploration, imagination and learning. They’re learning to walk, talk and come into their own. Whether you are shopping for Christmas or her first birthday, I am certain that these gifts are going to be received well. I’ve been working really hard to make sure that these gift lists are just right for your little ones. These are sure to make her imagination spark! 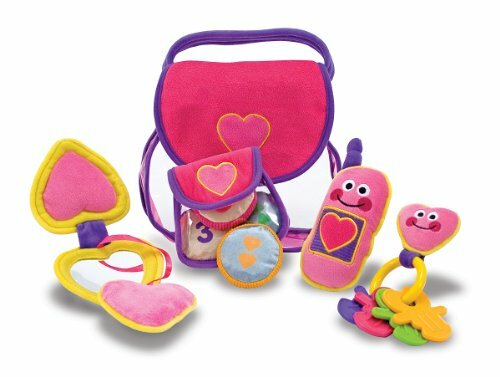 A REALLY ENTERTAINING WALKING TOY FOR 1 YEAR OLD GIRLS! 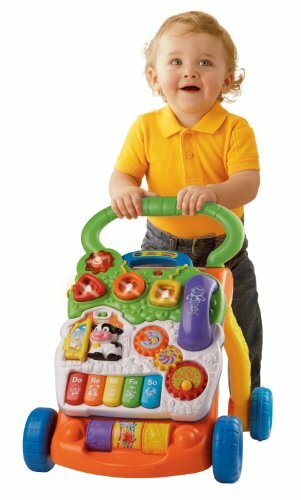 The Vtech Learning Walker is seriously one of the most busy walker push toys for babies I have ever seen. It’s like a walking entertainment center for babies and toddlers. 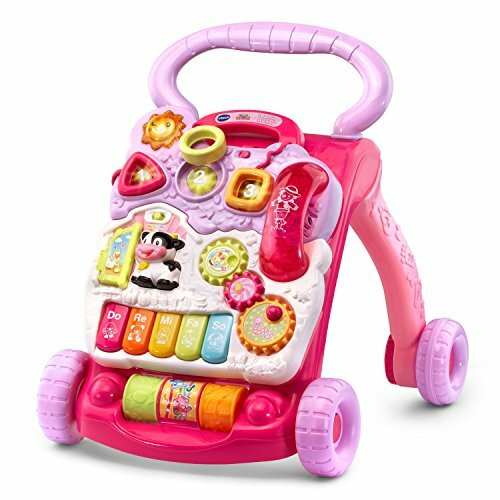 My one year old girl loves to press the buttons, turn the knobs, and play on the phone. There’s so much to do, this toy is filled with fun. There’s tons of learning activities built right in, everything from numbers, shapes, letters, colors and farm animals. The telephone makes realistic ringing noises when you take the phone on and off the hook. The entire face of the toy comes off so it can be played with on its own too. This is one of the coolest toys for boys age one. Push toys give a baby a better sense of balance and they’re good exercise! The Corn Popper push toy is a classic that every kid should have, low cost and entertaining. 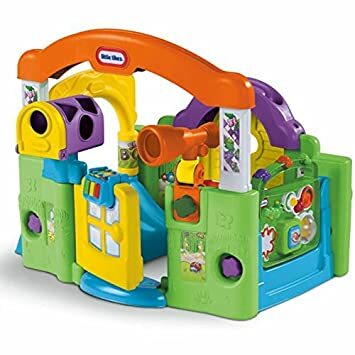 The colorful balls inside the clear dome at the front of this toy pop as your one year old girl pushes it across almost any surface. I think every kid has owned this classic toy at one time! My one year old daughter loves her little kitchen toy! It’s her favorite of all the toys because it does so many things and role play is super fun for little girls. 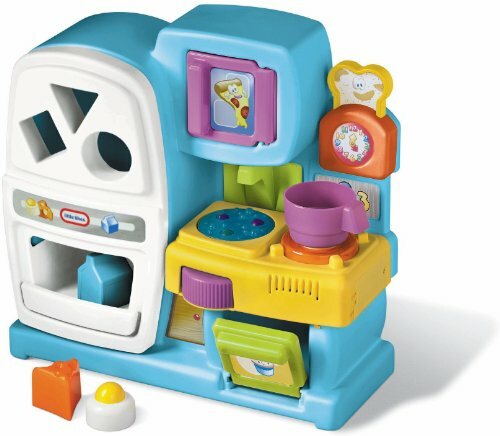 This little kitchen plays over 50 melodies, sounds and phrases. There are 10 built-in activities to play with so she never gets bored. Balls drop down from the freezer and out the door of the fridge like ice cubes. There’s a pizza baking in the oven, the oven door opens and closes. You can drop balls down the top of the toy and the balls fall through the faucet into the sink. 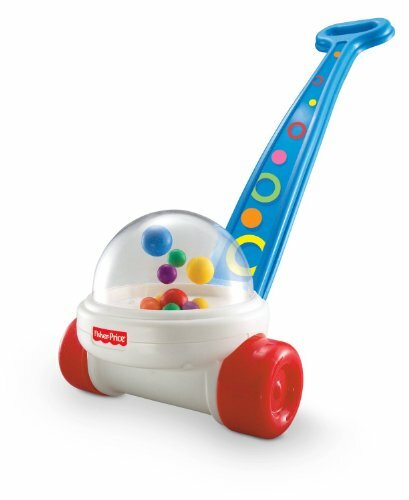 There’s lots to do; lots of turning knobs, dropping balls, and noises that make this toy so much fun. THIS DOLL STROLLER PUSH TOY IS THE BEST TOY FOR A 1 YEAR OLD GIRL!! The Stroller Walker push toy walker is a lot of entertainment for one year old girls. 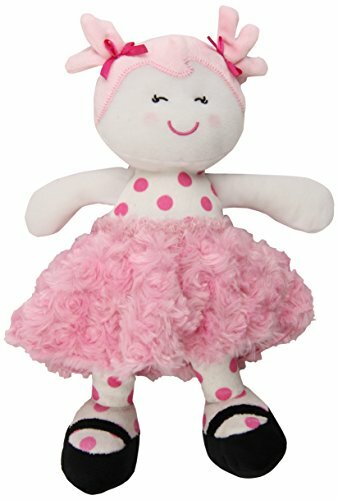 Your one year old girl gets to push around her doll or stuffed friend and learn to walk at the same time! What makes this stroller walker toy awesome is that it has a wide base for better balance. It’s geared right towards a one year old girls needs. Even if she isn’t walking yet, she can pull herself up on this because of the wide base on it. It’s perfect for balance, walking and just having a good time playing pretend with toys. 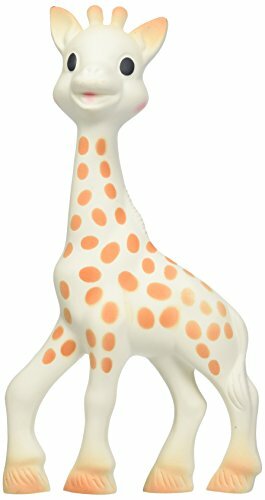 ​It’s one of my favorite toys for a one year old girl! THIS IS ONE OF MY FAVORITE TOYS FOR 1 YEAR OLD GIRLS! 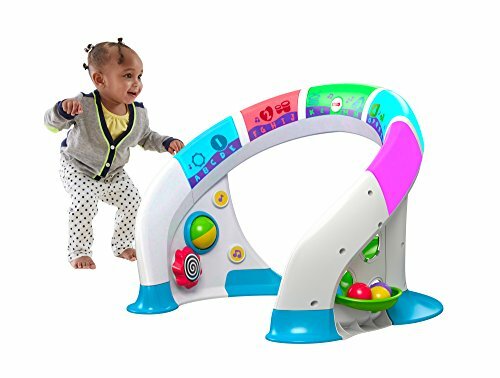 The Fisher-Price Bright Beats Smart Touch Play Space responds to your baby’s touch! There are three different ways to play; piano, dance or learning mode. As your baby touches the different parts of the touch sensitive light bar, they can play piano, dance to music or have learning time. ​Piano mode and dance mode are awesome for those 1 year old girls that love music! The learning mode offers abc’s, colors, numbers and more. It’s an all around favorite pick for any one year old! Little girls love baby play kitchens like these. Role play toys like these make the imagination soar. 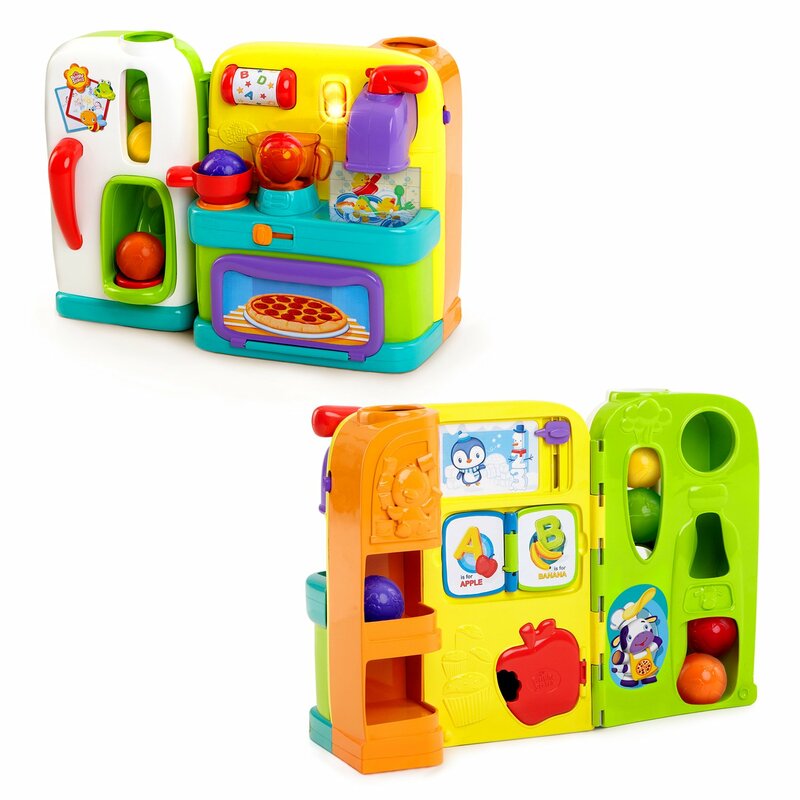 The Fisher Price Laugh & Learn Kitchen and the Little Tikes DicoverSounds Kitchen are both similar in a lot of ways, both work with colors, shapes and letter, number recognition in different ways. 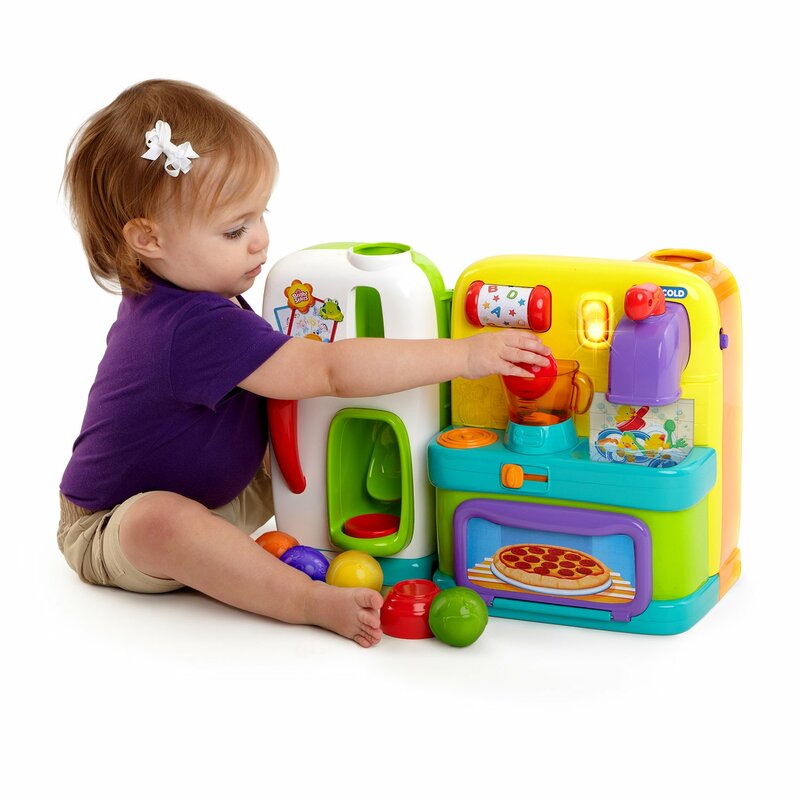 Kitchen toys like these make the perfect gift for a girl age one. 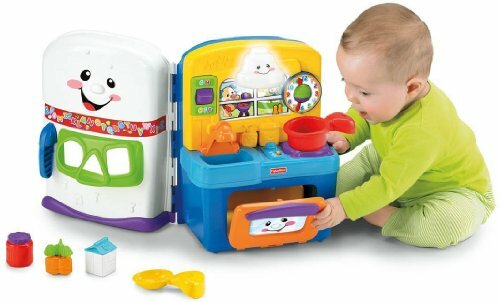 Both have a shape sorter toy, realistic kitchen noises and learning activities built right in. Every one year old girl should have a first dolly! These are the best first dollies because they are super soft. The reason you want a super soft first dolly is because your little one can accidentally hurt herself if there are any hard plastic parts. 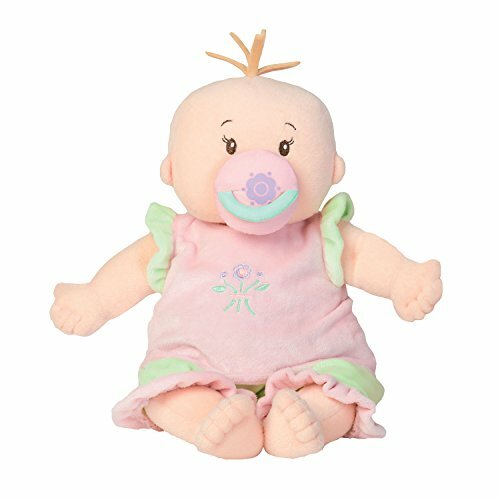 These are cuddly first dolly’s for girls that she can drag around with her in the stroller, car seat or where ever she may roam. 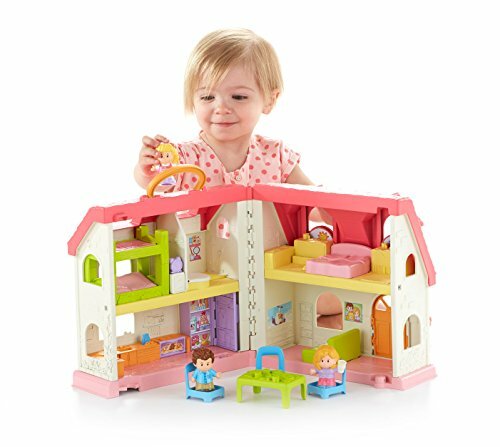 Fisher-Price makes the cutest learning toys for little girls. Even at age one there are so many toys that are geared towards making childhood happy and healthy in so many ways. 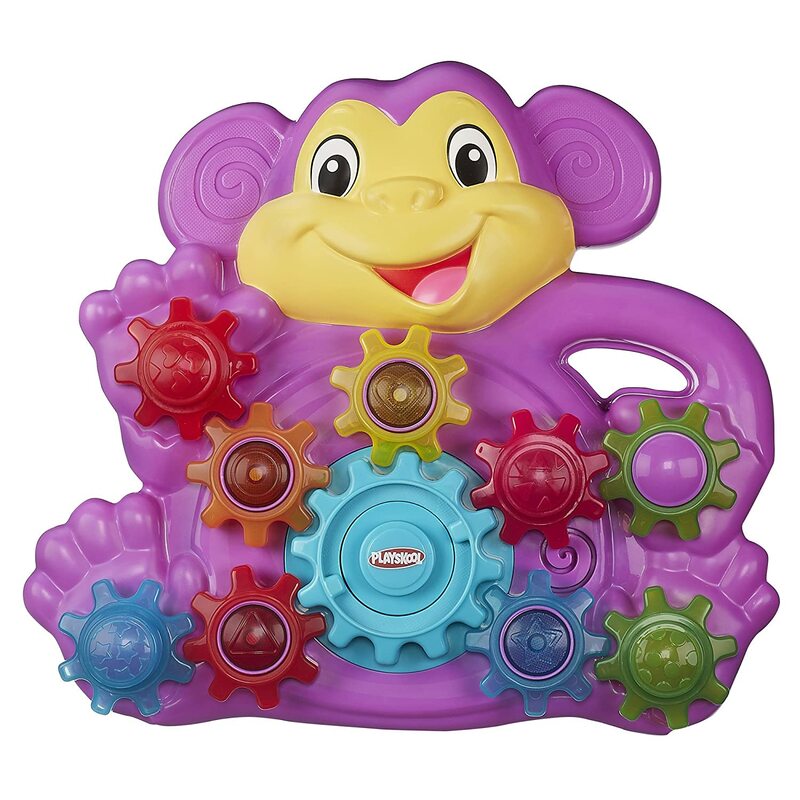 Fisher-Price Laugh & Learn toys are some of our favorite because each is geared towards role-play and imagination. They take realistic things and make them educational and entertaining! 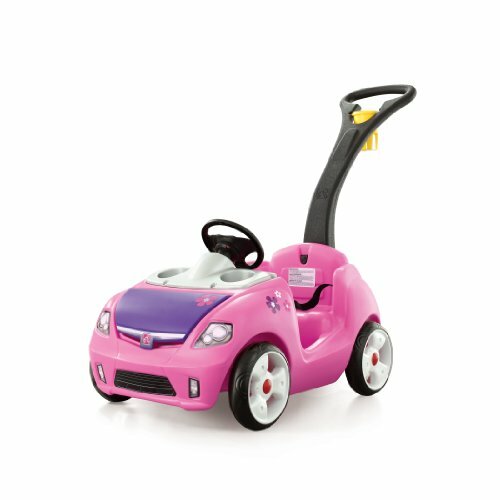 Your one year old girl can ride in style with this awesome new Step 2 Pink Buggy Car! 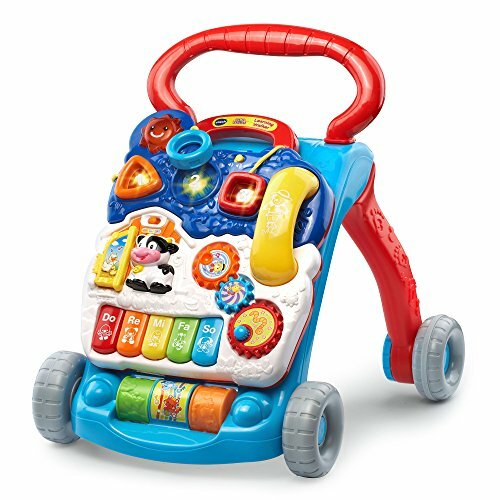 There’s plenty of storage under the hood for taking snacks and toys along to the park. 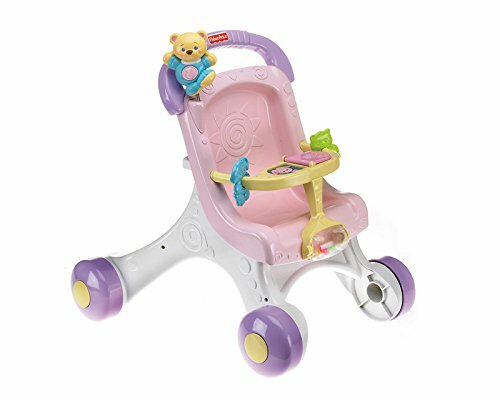 Ride around the amusement park or neighborhood in style with this rad little pink convertible for one year old girls. There’s nothing like riding around in your own set of wheels when your a 1 year old. Feel the breeze in your pig tails! Little girls love to carry a purse just like mommy. 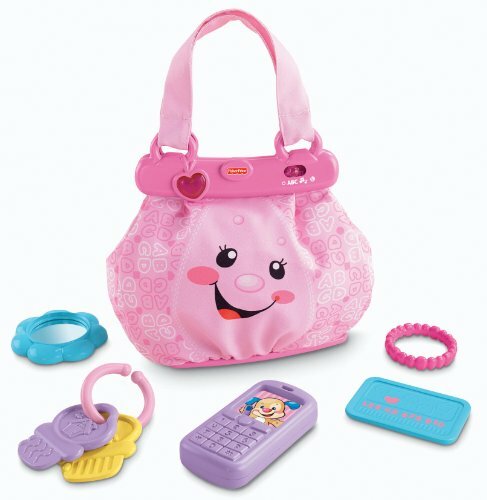 Here are some of the best baby purse toys for a girl age one. Each one has lots of fun activities geared towards learning and fun inside. 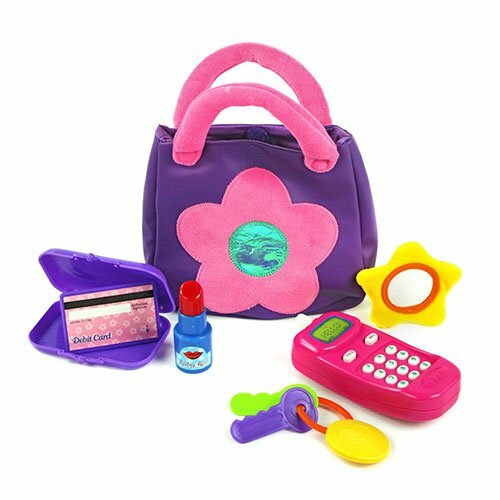 Every little girl needs to have a purse for her cell phone, keys, mirror and other essentials right? Look out Coach and Louis Vuitton – here are some of the cutest little purses for girls. It’s the amazing bendable banana training toothbrush and chewy toy for your baby girl. She could even carry them around in her little purse. I’m sure she’s got a couple of teeth now and the teething is never ending! 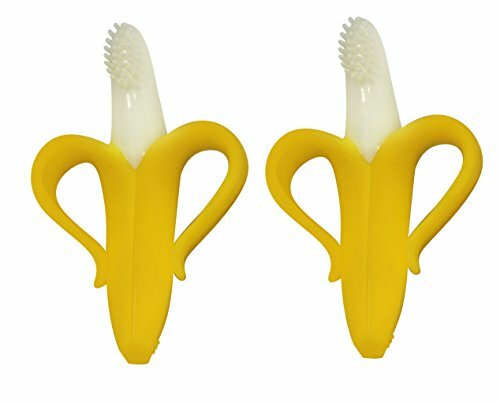 What makes this banana brush so cool is that it massages her gums and brushes her teeth. We bought the two pack for our one year old girl because she likes having one to chew on and keep in her little purse. We keep the other at home in the bathroom for brushing her teeth after bath time. The banana peel handles make it easy to to hold or attach a loop too for carrying. If you are the parent of a one year old girl, you know that almost everything goes in the mouth. 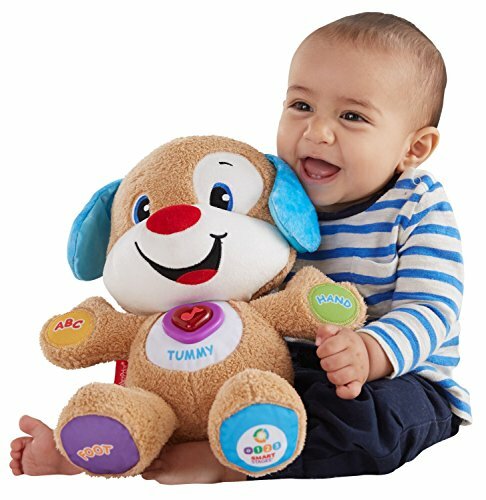 Whether they are teething or just exploring, the mouth is where toys are headed. We bought our budding toddler a few different teething toys to have on hand so that she could having something to stick her mouth to relieve her gums. 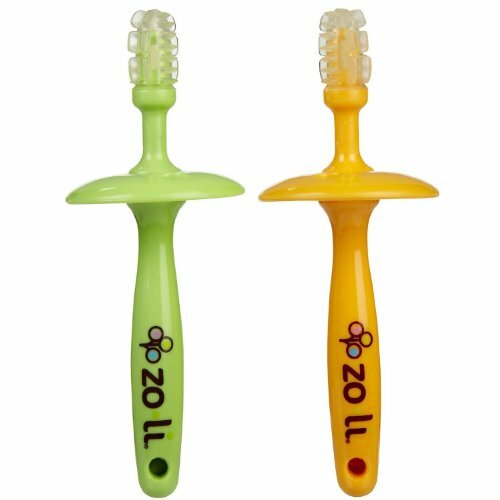 All one year old babies need teething objects, its safer and better on the gums. Keys, babies love them, one year old girls have to have them them in their little purses…you did buy her a little purse right?! 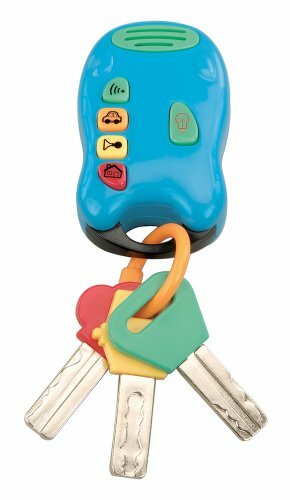 There are lots of different baby keys but the ones that have the remote on the end are the best to buy a one year old. The more they look like your keys the better! 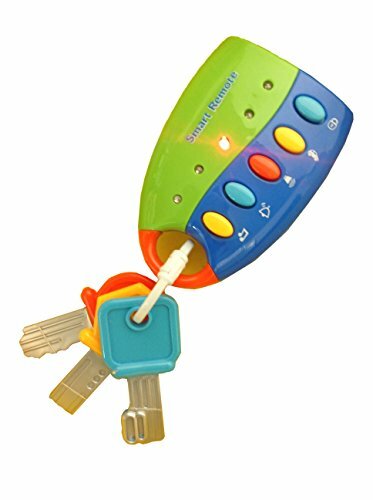 There are some keys that double as teethers, but the keys that keep my one year old happy are the ones that look realistic, then she thinks she has keys with a car remote, teether ones tend to look too much like toys and not enough like keys. These interlocking play mats have been a huge blessing for our baby girl. 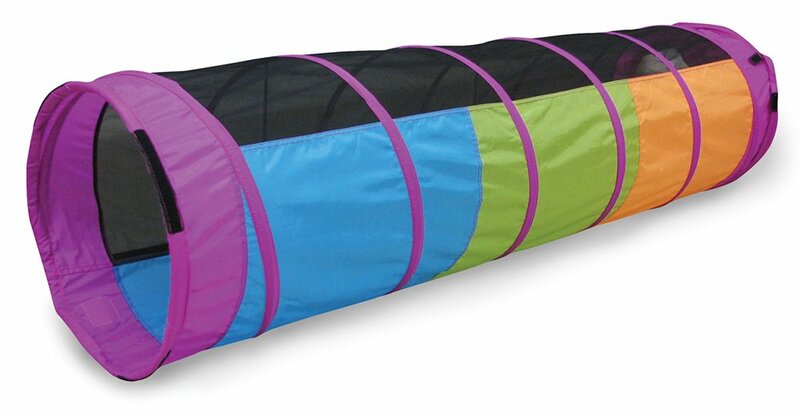 We use them every single day, we lay them out for play time because they are soft, colorful and fun. We have a wood floor, so having these mats down has prevented some head-bumping and other fall injuries. The bright colors are appealing to our one year old girl, we usually scatter out her toys across the mats to play with. They are very easy to clean to she can eat snacks and play toys in the same area. I personally could not live without these! Little crawlers love these tunnels, even my older ones like to go through them. These are great because they fold-up flat and can be stored away easily. My one year old girl loves to go through the crawl thru tunnel, it’s one of her favorite things to do! The see through tunnel is great because you can watch baby go all the way through it. These are two of our favorite crawl thru toys for baby girls age one. We actually have owned both of these at one time. Our oldest has the farm and our daughter, who is one has the house right now. 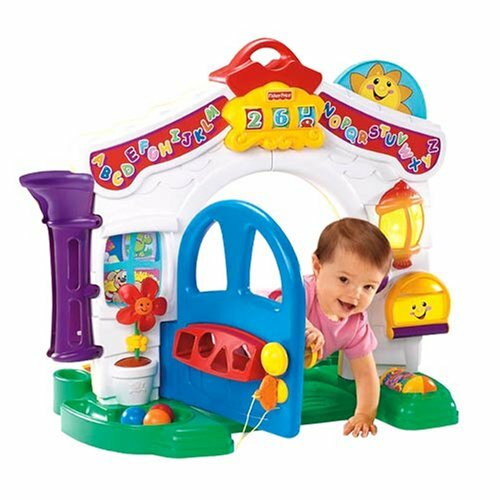 Both are great crawl through toys with interactive features that teach the alphabet, colors, shapes, numbers and more! 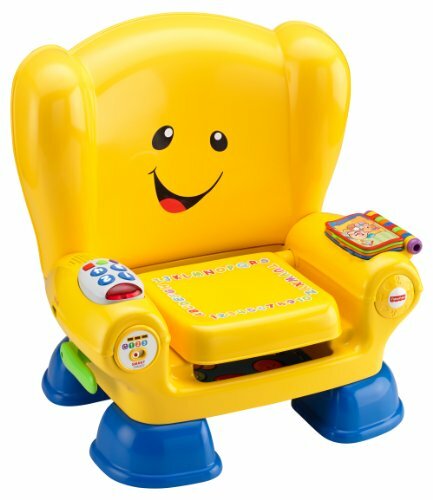 These are guaranteed to keep your one year old educated and entertained! 1 Top Toys One Year Old Girls LOVE! 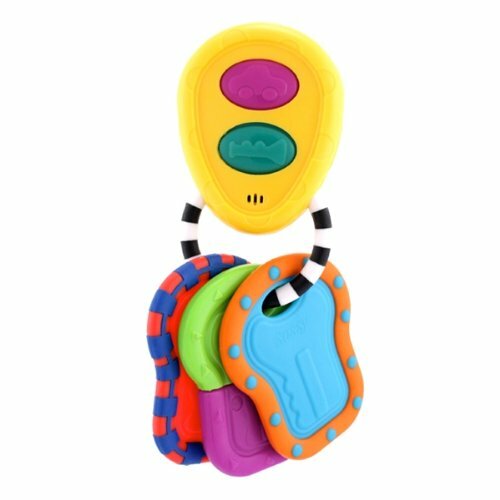 3 A REALLY ENTERTAINING WALKING TOY FOR 1 YEAR OLD GIRLS! 6 THIS DOLL STROLLER PUSH TOY IS THE BEST TOY FOR A 1 YEAR OLD GIRL!! 7 THIS IS ONE OF MY FAVORITE TOYS FOR 1 YEAR OLD GIRLS! 17 CRAWL-THRU TUNNELS ARE FUN! We are in compliance with the requirements of COPPA (Children’s Online Privacy Protection Act), as we do not collect any information from anyone under 13 years of age. Our website, products and services are all directed to people who are least 13 years old or older. Perfect Gift Store is a participant in the Amazon Services LLC Associates Program, an affiliate advertising program designed to provide a means for sites to earn advertising fees by advertising and linking to Amazon.com.